There is a more to a good sign than meets the eye. 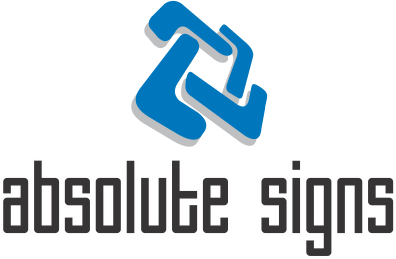 At absolute signs we promise u to provide this extra edge. Welcome to the one-stop shop for your total signage solutions. From site mapping, designing, printing to delivery & Fitting at your doorstep, the team is there to take care of operations at each level. Customer satisfaction at each level is our ultimate reward. Little wonder, we don't aim to meet your requirements, but exceed them. When it is Absolute Signs, clients are rest assured to completely rely on us. As a decade long experience helps us to guarantee clientele offer them innovative concepts and newer production options. Days of limited options for signage are over for sure. Absolute Signs offer complete solution through wide range of some of the finest signage options :Back lit, front lit, ACP Signs, Acrylic Sign, Neon Sign, LED Signs, Router cut Sign, Steel letters, wood letters and list goes on. Our wide range machinery equipped workshops over the years have helped us to enhance the production capacity. Our machinery includes Solvent printers, inkjet printers, CNC Router, Plotter, Lamination machine and a dedicated fabrication unit.